Hard truth: If you don’t keep trying out new marketing angles for your website and business, you run the risk of losing your audience’s attention. That’s why it’s a smart idea to always be brainstorming fresh ideas. And at no time is this more relevant than at the beginning of the year. Every season brings new marketing opportunities along with it. By paying attention to the latest trends, you can find plenty of ways to bring in more traffic to your website. That way, you’ll start the new year with your best foot forward and avoid a winter lull in conversions. In this article, we’ll go over nine marketing ideas to help you revitalize your website for the new year. We’ll talk about why each one works and how to go about implementing it. Let’s get right to it! The easiest way to get people’s attention is to give them something for free. That holds true both in the physical world and online. The only difference is that giving away digital products or services can be a lot easier and cheaper. One very common (but effective) approach is to give away a free e-book in exchange for visitors’ emails. This is an excellent strategy because it doesn’t cost you anything to distribute an e-book as many times as you want. On top of that, you can easily automate the giveaway process using a modern email marketing platform. However, it may not always be feasible for you to put together an e-book, depending on what your website’s niche is. For example, if you run an online store, it might make more sense to give away products instead. In that scenario, you can lower the expense involved by holding a giveaway for a limited number of users. This lets you drum up enthusiasm, without having to give out a lot of free items. Come up with a product (digital or physical) that you can give away. Determine the logistics of distributing the product. Put a time limit on the promotion so there’s a sense of urgency to drive conversions. In our experience, you can even get amazing results with e-book giveaways. This brings us to the next technique. 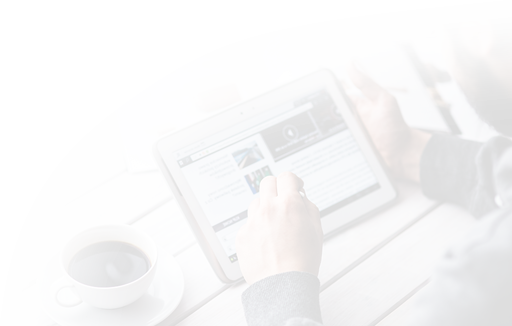 As we mentioned before, e-books are a fantastic way to drum up interest and conversions for your website. However, writing a book (even a short one) is never easy. It takes time, patience, knowledge, and at least some talent to create a product people will want to read. The good news is that if you run a website with a lot of published content — such as a blog — you might already have a book on your hands. 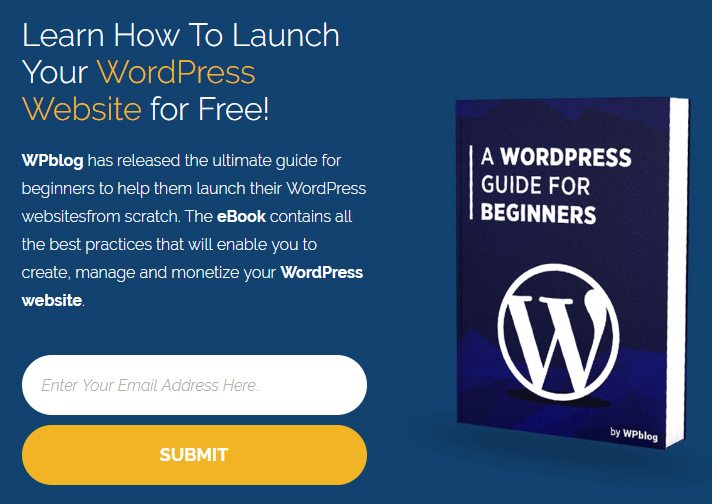 If you’ve written a lot of WordPress tutorials, for example, you could compile them into one e-book divided into chapters, to create an ultimate resource. Publishing about the new resource on all your social media pages. Holding a giveaway for new email sign-ups, as we covered in the last section. Publishing the book to digital channels, such as Amazon, and including links back to your site. In fact, nothing is stopping you from doing all of the above, since we’re talking about a digital product. With that in mind, take a look and see if you can repurpose some of your existing content into an e-book on a particular subject. While you’re at it, you might even add some new content as well, to increase the e-book’s value for your long-time readers. 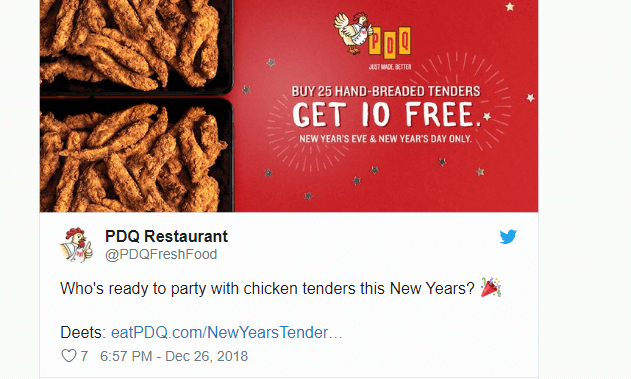 As the new year gets started, with it comes the perfect opportunity to publish targeted content. 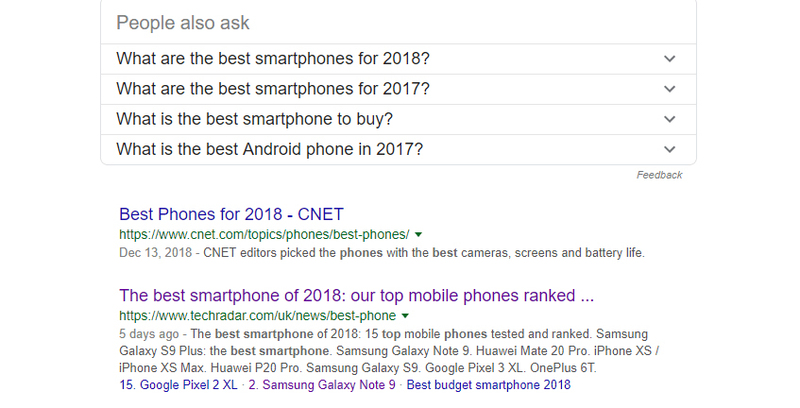 Just to give you an idea, here’s what comes up if you look for “best smartphones” using Google at the beginning of the year. As you can see, all the top results are time-based. This is the time of year when people are looking for the best products and content from the past year, and the most exciting newcomers for the upcoming year. Feel free to steal one of these ideas, and if you can make it work, kudos to you! In any case, you can apply the same formula to any season of the year, and even to special events in your area. These days, it’s become common for people to donate to charities or individuals online. That’s the entire concept behind sites such as GoFundMe and GlobalGiving. 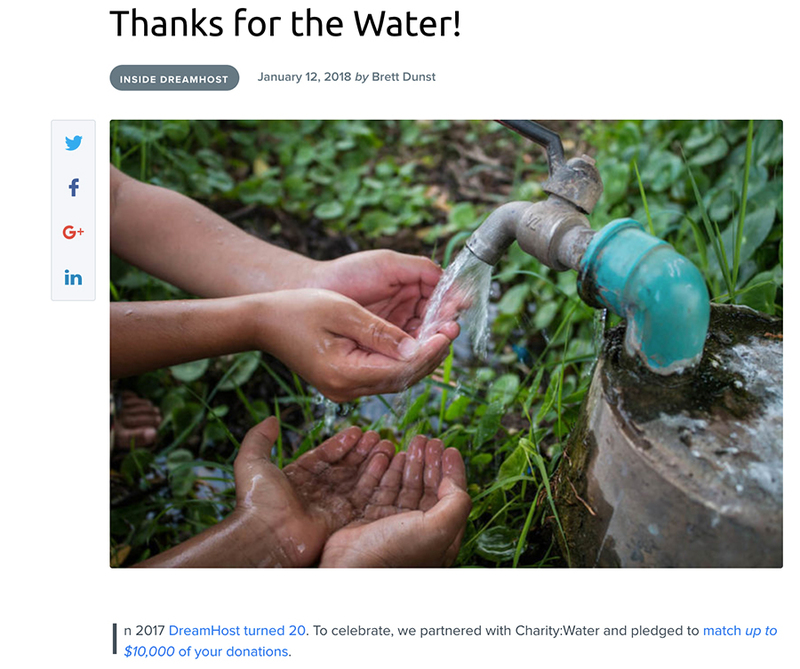 If you want to earn some karma points while also getting more eyes on your website, one great way to do so is by raising money for charity. Usually, you’ll do this by picking out a specific charity to support — something that’s relevant to your niche and audience. Then you reach out to your site’s visitors, your email list, and so on, asking them to donate money and explaining why it’s worth their time. Just remember that whatever approach you decide to take with your donation drive, make sure to include social sharing icons. That way, visitors will be able to share your post or the donation page with just a couple of clicks. The holiday season is packed with special offers and discounts. However, there’s no reason you can’t keep the party going in the new year, so to speak. In fact, many people will appreciate special deals more once the holidays are over, and they can focus on getting ready for the new year. On top of that, ‘new year deals’ are perfect if you run a store and need to get rid of extra stock from the holiday rush. This same approach can apply to many other types of sites. 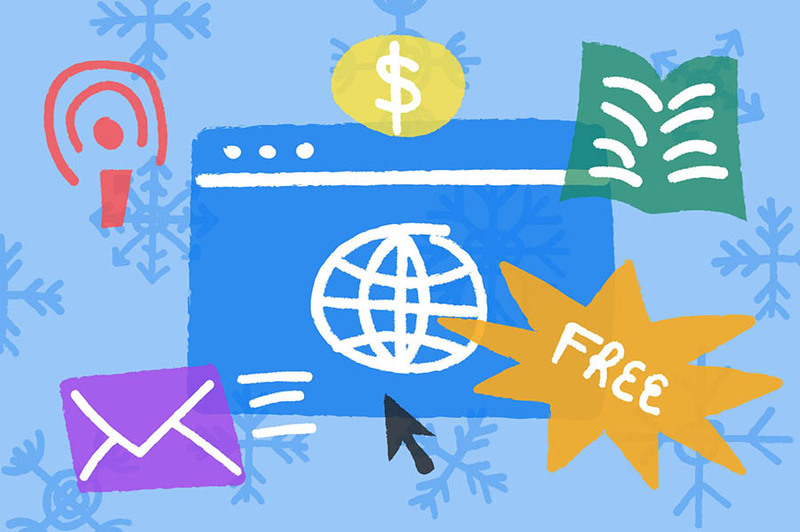 If you sell services online, for example, you might see a lull in business around the new year. However, you can counteract that effect by offering a discount to bring in new business. If you want to take things a step further, you can even offer discounts for referrals. This approach not only keeps your existing users happy, but it can also help you market your business to new clients. Targeted ads can be relatively expensive. However, if you sell products or services online, they can also be highly effective at driving conversions. These days, you can even ‘retarget’ people who have visited your website but didn’t convert, so you get a second shot at convincing them. If you run ads on Facebook, for example, you can use the Facebook pixel to target users who visited your website but didn’t add items to their shopping cart or failed to go through with a purchase. That’s just one type of retargeting, however. You might also focus on cross-checking users who have signed up to your email list, and sending ads to them through social media. This may sound invasive, but as long as your ads are tasteful, retargeting enables you to market your website to people you already know are interested. That means all you have to do is persuade them to follow their instincts and give you a chance. Not all people like to consume content in the same way. You might be more partial to written posts, for example, whereas others prefer to watch YouTube videos, listen to podcasts, and so on. This means that if you focus your website on a single type of content, you could be losing out on a much broader potential audience. To avoid that scenario, you can create complementary content in a different format — in this case, video. No matter how you do it, putting together high-quality videos for your website does require some work and budget. However, the upside is that you can post the finished videos both to your site and to third-party platforms. If you add them to YouTube, for example, and include links back to your website, you’ll be opening up a whole new marketing channel. If you’re not interested in creating videos to market your content, there are other mediums you can dip your toes into. Podcasts, for example, have never been as popular as they are right now. Millions of people listen to podcasts weekly and most of them follow several. If you’re up to creating your own podcast and committing to releasing new episodes periodically, then you can tap into a huge potential source of traffic. There’s a lower barrier to entry since you only need basic recording equipment. Podcast listeners are used to long-form content, so you can do more in-depth takes. You can launch your podcast on multiple third-party platforms, such as Spotify. To be fair, creating a podcast isn’t as easy as just picking up a microphone and talking your listeners’ ears off. If you want to sound professional, you’ll probably need to work out a script in advance for each episode. Plus, you may need to invest in better recording equipment than just a headset, if you want to maintain a high level of quality. Trends change, of course, and what’s a hot topic right now might not be relevant in a couple of months. This means that if you want to stay relevant, you always need to be on the lookout for new stories and content that will interest your audience. To do this, you’ll want to keep up-to-date with the latest news in your site’s niche. That means following competitors’ sites, subscribing to journals, keeping an eye on feeds, checking up on social media profiles, and so on. The more up-to-date you are with the latest happenings, the more marketing opportunities you’ll be likely to spot. The new year always brings change with it, and that should apply to your website as well. In other words, this is the perfect time to try out some fresh marketing initiatives. That way, you’ll have an easier time keeping old visitors engaged and bringing in new ones at a faster rate. Will you be making any changes to your website over the next few months? Tell us what you have planned on Facebook and Twitter!